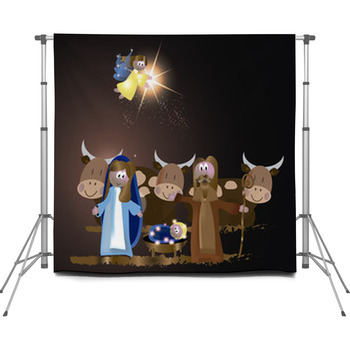 Add the families of your clients' to the Holy Family by working with our nativity scene backdrops. Pose kids beside the baby Jesus in paintings of the first Christmas. 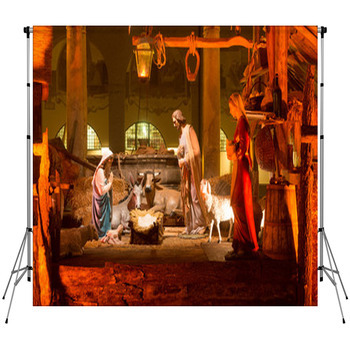 Choose portable backdrops that display all of the key elements of the nativity, from the Star of Bethlehem to the Three Kings, the humble manger and Joseph, Mary and Christ. 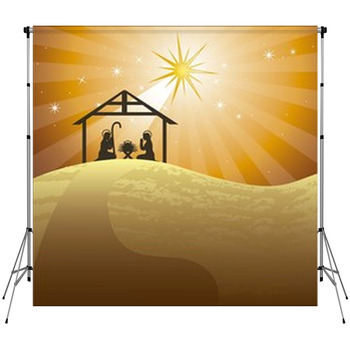 Nativity scene backdrops will make your photo studio a hit during the holiday season. 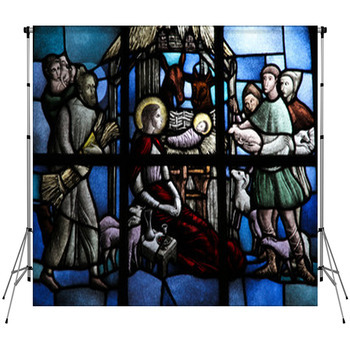 For families with older kids, make sure you have powerful depictions of the birth of Jesus. 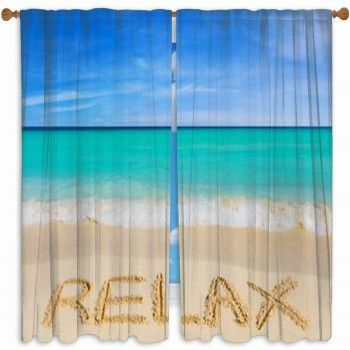 These include a photographer backdrop that has white stars flickering in a sky illustrated with deep shades of blue. 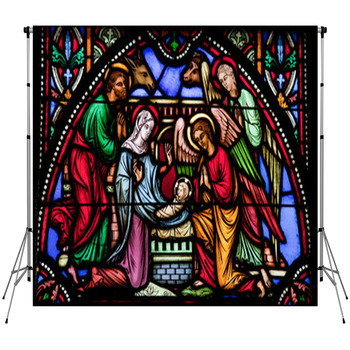 Joseph and Mary are seen as black silhouettes as they peer down at tiny Jesus. 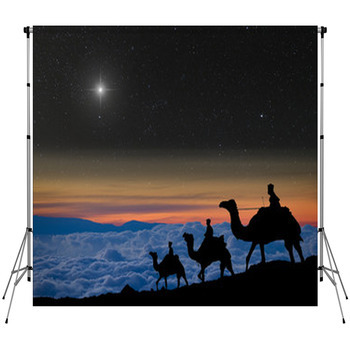 Another mature nativity scene design is shown on portable backdrops that reveal the silhouettes of the Three Wise Men crossing the desert on camels, with the Star of Bethlehem guiding their way. 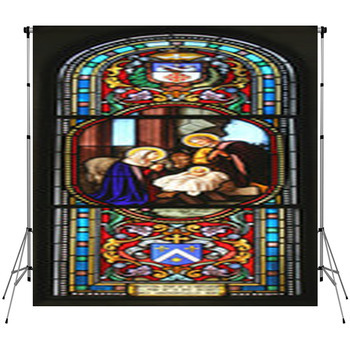 Of course we also offer many photo backdrops that will delight toddlers and small children. 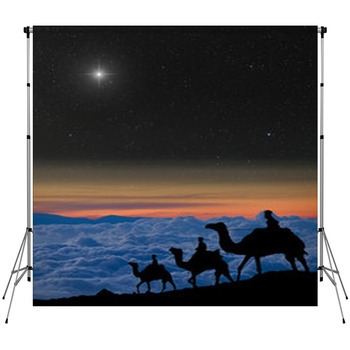 How about a scene of the nativity manger in which adorab One more popular nativity scene backdrop portrays the Three Wise Men as little boys on a desert voyage. They are each wearing golden cle baby sheep, bluebirds and bunnies gaze on in admiration of little Jesus as he dozes on a bed of hay? 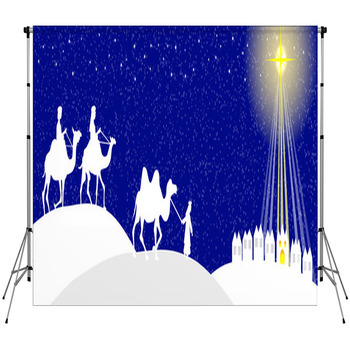 There is also a grinning angel hovering overhead, a cartoon brown cow, a gray donkey, and a huge yellow shooting star drawn on this photographer backdrop. rowns adorned with red rubies, and have on pink, lavender or blue robes as they carry their gifts of gold, frankincense and myrrh to the newborn Jesus. 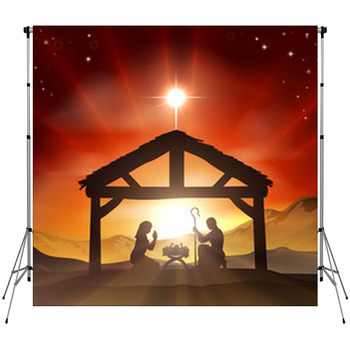 Let your clients see the unique and biblical backdrops you offer by showcasing nativity scene themed wall murals and banners with the same images.